What is a Google 360 Virtual Tour? Google 360 Virtual Tours (also known as or See Inside Street View or Google Business View) is official Google content that utilizes the commonly used “Street View” technology of Google Maps to allow your patients to walk through and virtually “See Inside” your practice. It’s interactive content that gives an amazing preview of the patient’s experience at your location without having to physically be there. While you want your new patient to actually walk in through your doors, there are several advantages of a virtual tour of your practice. Google Virtual Tours give your patients an engaging interactive experience on their desktop or mobile devices. Google Virtual Tours work with all devices including iPhone, iPad, Android smart-phones and tablets, Windows and Mac computers. See how it works by clicking on the sample virtual tours below. Use your mouse or finger to look around the practice location. 99.6% of those who used search engines to gather information say search engines helped them. 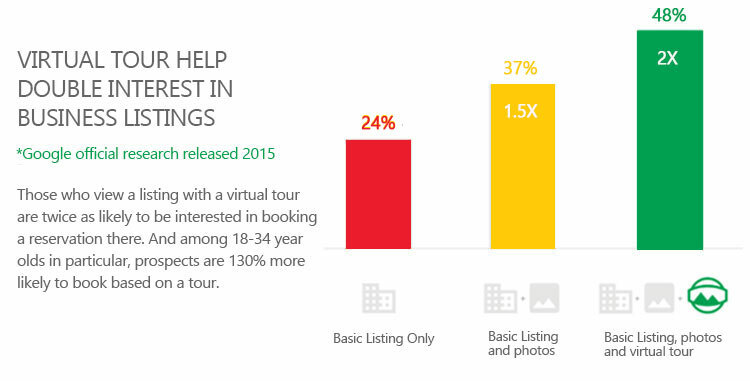 Those who view search engine listings with a virtual tour are twice as likely to be interested in booking an appointment. How Will a Virtual Tour Help My Practice? If your potential patients are unfamiliar with the area, the view will allow them to know where the entrance doors to your practice is in relation to the parking lot or building. 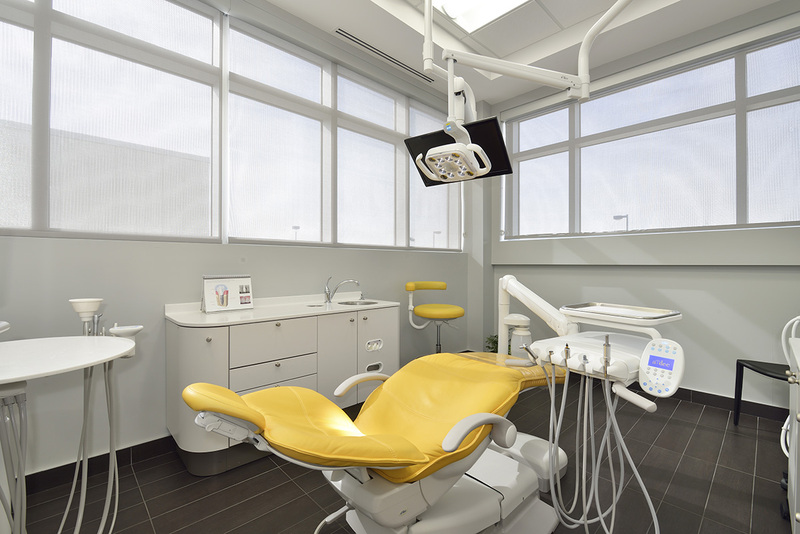 It will help show off the ambience, cleanliness, the number of treatment rooms you have, and state of the art dental technology available at your dental practice, encouraging them to book an appointment. It allows potential patients to get a feel of the environment with a sense of familiarity and comfort when they come to the practice. This is beneficial for those who have a fear of visiting the dentist, especially young children! The tours generate more new patient walk in traffic for your practice, either because they are impressed with what they saw, or simply to check if the virtual tour is as good as the real thing. 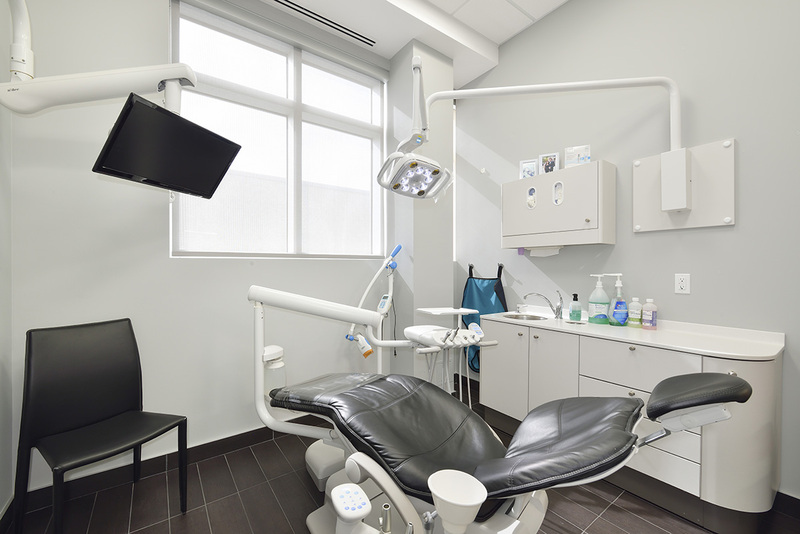 Our Google 360 Virtual Tours for dental practices and other healthcare practices are available to view on Google Maps and Google Search, and can be embedded on your own website and Facebook Social Media Page. These tours become part of your online Google listing and appear next your phone number and address in organic search results to boost your SEO! How do my Patients Use it? Your Google 360 Virtual Tour will integrate seamlessly with how your patients search for you on Google. This includes MAPS, regular SEARCH, and Google+. Google Maps is commonly used for directions these days and this rich content will be right at their fingertips to help find your practice and have it stand out from the competition! Do I get the Copyright for the Images? Yes. You will get full copyrights to all the high-resolution images created and are free to use them on any digital platform, such as Facebook, or for printed brochures. I have an SLR or HD Camera, Can’t I Just do this Myself? Unfortunately, no. Only Google Trusted Street View Photographers can offer this service. We have taken extensive time to research and interview a whole host of these certified photographers and selected the most certified and trained on enhanced techniques to create the best results for your practice. After all, it is your brand and reputation that we care to represent with the highest quality available. How Long Does a Google Virtual Tour Take to Shoot? For most practices, the shoot lasts up to 2 hours and you can request as much or as little of the practice to be shot. No job is too big or too small, but larger jobs may take longer to shoot. Our photographers then head back to the office and begin the post-production process. They work with our web development team to have your virtual tour available to view live across all Google Platforms and your website within 1-2 weeks. We can also extend coverage into your social media accounts. Note, we aim to finish the shoot in a single visit. Additional visits for new requests or changes after the initial shoot may incur additional costs. Can Team Members or Patients be Present for the Google Tour? Yes. Patients and employees can be present, but their faces will be blurred to ensure privacy. We prefer not to have blurry images in the shoot as it takes away from the overall result, and so we prefer to showcase your practice without people. Our photographers can come early in the morning, lunchtime or late in the day to suit your schedule. We want to avoid you having any downtime and understand that your patient’s healthcare and your production comes first. How can I Prepare my Practice for the Photo Shoot? You want to showcase your practice at its best, so make sure it looks nice and tidy. It is recommended that you clean and clear surfaces, display flowers in reception or front desk area, and have available magazines that your patients may enjoy reading in the waiting room. You should discuss any distinguishing features you want displayed with our photographer, such as ramps for immobile patients, your logo, or toys for children to target specific patient demographics, then let us do our magic! 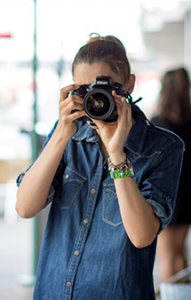 Which Areas of my Practice Will be Photographed? We’ll discuss this with you in more detail when we come to do the tour, but as a general rule we suggest any areas that patients will normally see within the practice should be showcased. 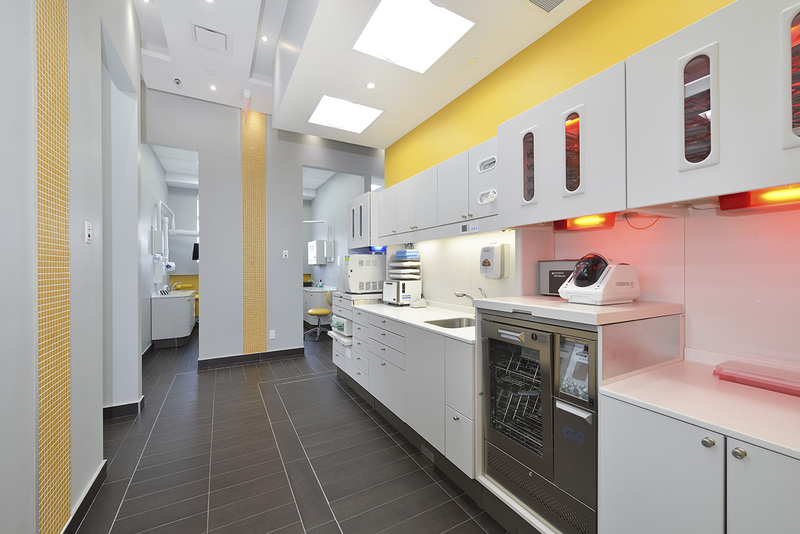 This may include the practice entrance, front desk or reception, patient’s waiting room, treatment rooms, surgery rooms, recovery rooms, etc. 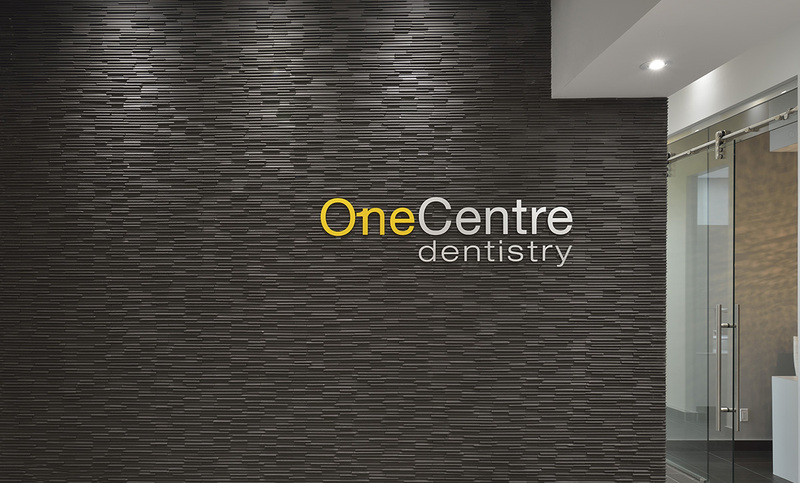 We work with an awesome network of photographers around the world who can provide a 3D tour of your practice. Each is trusted and certified by Google. Call 1-855-927-2776 or email [email protected] for more information on how having a Street View for Business Google 360 virtual tour can benefit your business.